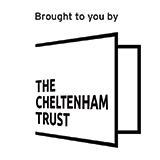 From February 1st Leisure at Cheltenham will no longer be providing customers with the option to hire padlocks for our lockers in the dry and swimming village changing areas. This is because a large number of people have not been returning the padlocks after use. Padlocks will be available to purchase from reception. If customers wish to purchase their own padlock we recommend they purchase a combination lock padlock that is up to 8mm in diameter.